In the pterylae, the loose layer of the deep dermis (stratum laxum) is very broad and looks like the subcutis. Feather follicles are located in this layer. 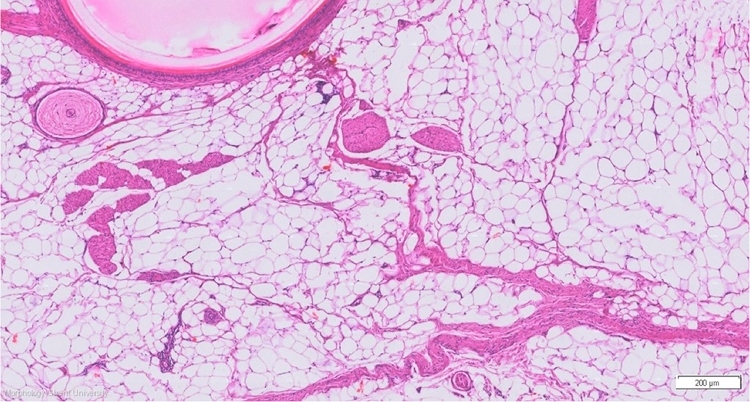 The border between the stratum laxum of the dermis and the subcutis is formed by the lamina elastica, a strand of connective tissue with collagen and elastic fibers.